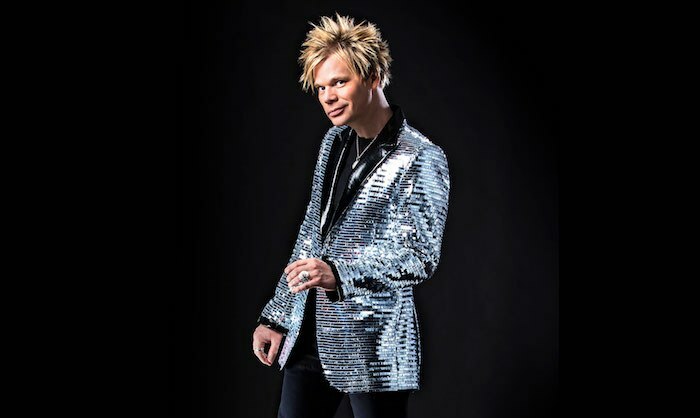 Brian Culbertson brings his Colors of Love Tour to the Lobero Theatre on Wednesday, May 30 at 7:30 p.m.
With love, romance and his recent 20th wedding anniversary serving as his inspiration, Jazz and R & B Pianist Culbertson crafted 13 new songs that were released as Colors of Love on Valentine’s Day. The seduction begins with the first single, the amorous title track, which is a sensual R&B groove illuminated by lyrical acoustic piano melodies typical of the collection’s contents. A nearly three-month-long U.S. concert tour will bring “Colors of Love” to life in a vivid theatrical production, incorporating video elements in a major way. 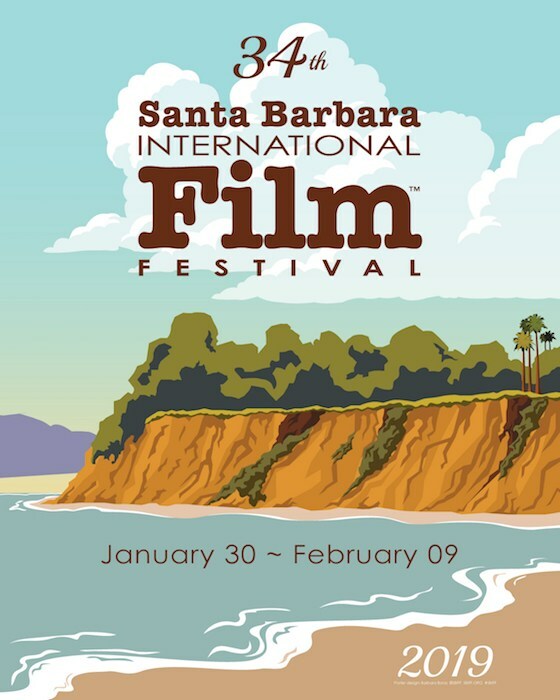 The Lobero Theatre is located at 33 E. Canon Perdido St., Santa Barbara. For more information or to purchase tickets, visit lobero.org. Originally published in Santa Barbara Seasons on May 27, 2018. Friday night’s Sings Like Hell! Series at Lobero Theatre features Stone Cupid with Julie Christensen, with opener Natalie D-Napoleon. Songwriter Christensen co-fronted Los Angeles punk-roots pioneers Divine Horsemen, and sang with Leonard Cohen for several years, among other notable artists. After five independent solo albums, she formed the Nashville band Stone Cupid and is releasing the debut album from her new band, “The Cardinal,” on Jan. 22. Christensen’s original songs are as varied as her evolution and career. Over the years she has sung with Todd Rundgren, Iggy Pop, John Doe, Exene Cervenka, Steve Wynn, Lou Reed and Van Dyke Parks. On “The Cardinal” Christensen penned her own songs and gathered great co-writers. She garnered strong songs from her friends, including Chuck Prophet, Amelia White, Kevin Gordon, Dan Navarro, David Olney and Leonard Cohen. Opening the show will be Natalie D-Napoleon. Now a Santa Barbara resident, D-Napoleon was raised on Croatian folk songs and American standards like “Blue Bayou” upon a farm clinging to a working class town near Perth, the singer-songwriter (family legend has it that she’s related to THE Bonaparte) makes her mark on the roots music scene with original lyrics, impassioned delivery and her lamenting reflection on the human condition. The show takes place Friday, Dec. 4 at 8 p.m. at Lobero Theatre, 33 E. Canon Perdido St. For more information or to purchase tickets click here. Michael McDonald, courtesy of Lobero Theatre. Iconic singer and five-time Grammy-winner Michael McDonald (Steely Dan, The Doobie Brothers and loads of solo hits) teams with Ambrosia for a special Concert to Benefit Youth Interactive at the Lobero Theatre (Oct. 11). All proceeds support Youth Interactive’s after-school programs for local underserved youths. DANCEworks‘ residency performances are always exciting, and this year is certainly no exception. 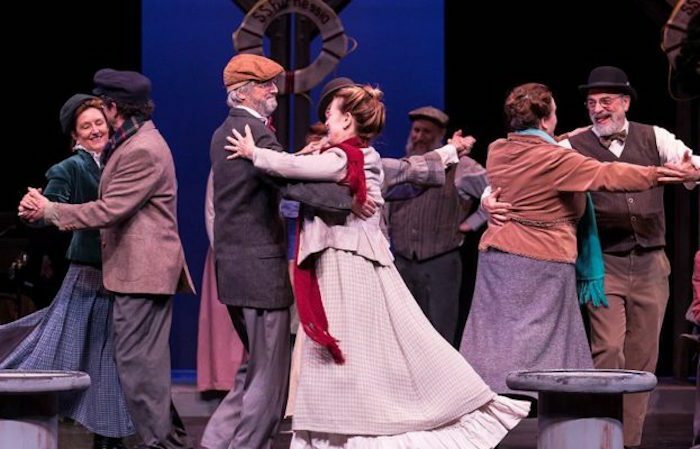 New York choreographer Adam Barruch spends a month at Lobero Theatre, culminating in the creation and premiere of a new dance theater production of Stephen Sondheim’s Sweeney Todd: The Demon Barber of Fleet Street (Sept. 25–26). | 8 p.m. Lobero Theatre, 33 E. Canon Perdido St. sbdanceworks.com. Editor’s Pick: An Evening with BESO! Gypsy rock band BESO is a hybrid that crosses traditional Romani music with rock music. The group’s all-star lineup of internationally renowned musicians has brought drive and passion to the genre. Their love for tradition collides with modern sensibility, transforming Gypsy rock into a vibrant new beast: darker, faster, more danceable, more blues, more Gypsy. BESO’s indelible fingerprint brings jazz manouche to a new generation and the 21st century. This April 25, Sings Like Hell show is a real treat for music lovers. Lobero Theatre, 33 E. Canon Perdido St. 8 p.m. 805/963-0761, lobero.com.